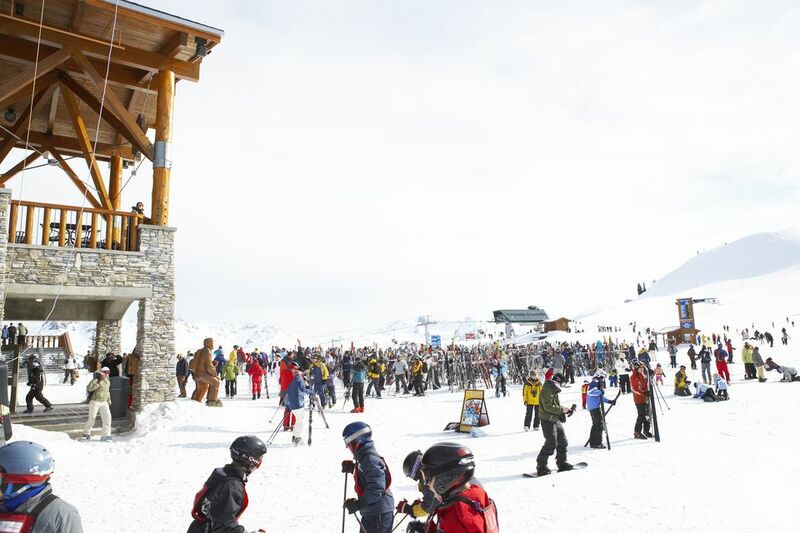 Ski resorts are hot spots for spring break -- check out a list of the top Colorado ski resorts for spring break ski trips plus some ideas for spring break ski trips to Whistler, Jackson Hole, Heavenly, a few quieter spots, and some places you may want to give a pass. I live in Rocky Mountain high country now, and have lived in, had major nightlife fun in, or skiied all but one of these ski resorts -- and I promise it's all good. You could not ask for more from a spring break ski trip than Whistler (done that). A reasonable drinking age in Canada, great snow, interesting folks, and beyond beautiful. Good parks and pipes, happening apres affairs, and Whistler's spring ski and snowboard festival provide a pretty congenial atmosphere for college students. Possibly, no passport needed for Canada if you're driving. The people are great, the snow is excellent and the place is laid back and lovely. Crested Butte is, perhaps, the best Colorado ski resort for college-aged folks -- lots of events and activities, nice nightlife, and the town of Crested Butte is terrific. Go backcountry for the real Crested Butte deal. The area's snowboard friendly, but know that some of the terrain is truly tough. Winter Park is just 1 1/2 hours from Denver, Colorado, making it easy and cheap to get to by car, bus or Amtrak train (in fact, you can take Amtrak straight into Winter Park from either coast and get a 15% Amtrak student discount). A mountain bike-friendly place in summer, Winter Park is loaded with apres-anything spots. Aspen gets an unfair rap as a rich-folk-only hangout -- true, you may be skiing among the stars, but the clubs are just clubs, albeit great clubs (well... there is the Caribou). Aspen lodging can be wildly spendy, but I love the cute St. Moritz Lodge as well as the friendly former hostel, Limelite Lodge -- both reasonable and central. Amtrak runs right to down-valley economical and lovely Glenwood Springs from the coasts. Try tiny Basalt's El Nopal taqueria -- I heart-ed it even before small-world-meeting the owner's cousin, who just happened (wow) to be my cabbie in Puerto Vallarta one winter. Drop by the Mangy Moose in the ski village for apres-steep yeehaws. Breckenridge is one of the several Colorado ski resorts off I-70, but it's not a highway view by any means. A real town, founded on gold in 1859, offers some good breakfast joints among 79 bars and restaurants, and the skiing will have your head in the clouds at 12,998 feet. Riders and skiers from the Rockies call Heavenly Valley's snow "Sierra Cement," but if you've only skied the coasts, you'll find huge Heavenly plenty celestial. And for snow snobs who disdain the concrete, Nevada offers interesting off-slope diversions (can you say "hit me"?). You can ride Amtrak right into Lake Tahoe, or fly into the California Bay Area and hop a bus. Whitefish, Montana (NW MT; used to be called Big Mountain) -- Killer steep in spots, killer views all over, and Kalispell has its moments. Vail -- your parents' resort, but lots of room and some very good nightlife. Sun Valley -- stay and play in Ketchum. Mad River Glen, Vermont, and Alta and Deer Valley, Utah, are still snowboard discriminators catering to your grandparents (and, in the case of Deer Valley, their higher-limits-than-yours credit cards)... bummer, cuz the snow's holy-cow!-good in Utah (if partying is high on your spring break ski trip activity list, note that Utah liquor laws don't exactly encourage imbibing with abandonment). Former snowboard-discriminatory Taos, NM, rescinded its "100% snowboard free" policy a decade ago, but do you want to let that fray's powder settle before braving the formerly barred-to-boards slopes? Not a lotta nightlife in Taos itself, but do check into a great hostel, the Abominable Snow Mansion, in the tiny town of Arroyo Seco (we had major fun there in summer '08).